Weekly page views of "Resource Crisis" on July 30, 2015. Note how Russia is the largest non-English speaking country in the list. These data are not the result of any special post about Russia, they are a normal feature of the blog. 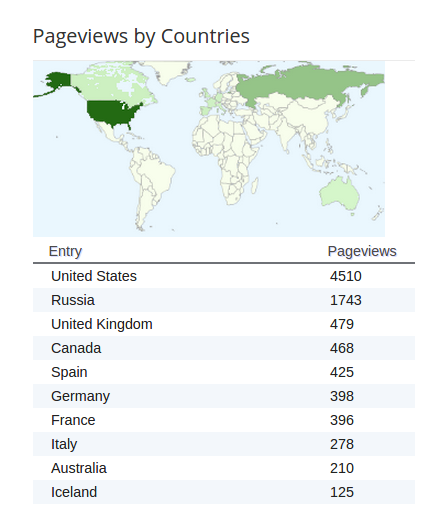 I don't need to say that I am very pleased for the success that this blog is having in Russia. Russia is a country that I know reasonably well, I know the people, the places, nature, a little of the language and, well, about countries you can use the verb "like" regarding your attitudes toward it; but you can also use the verb "love." Personally, I would feel more inclined to use the latter term in regard to my personal feelings regarding Russia. This said, however, I am curious about why exactly "Resource Crisis" is having so much success in Russia. It is true that I have posted a few times about matters regarding Russia, but this is not, by any means, a Russia-oriented blog. And, for what I know about Russia, the general attitude, there, is not at all "catastrophistic" as this blog is. So, I thought I could dedicate a post to this subject and ask my Russian readers (and also non Russian ones) if they can spare a little of their time to comment on some questions that I am asking to myself and to them. 1. Would you agree with my impression that in Russia there doesn't exist a "catastrophistic" line of thought regarding "the end of the world as we know it"? In the West, we have a number of thinkers, for instance James Howard Kunstler, John Michael Greer, Guy McPherson, Dmitry Orlov and many others (perhaps also yours truly!) whose work is dedicated to the exploration of the concept of social and economic collapse, and even to the extinction of humankind. Their relevance in the overall cultural and political discourse in the West is minor, but, I venture to say, not irrelevant. But, I can't find any equivalent Russian thinkers - which may very well due to my very limited command of Russian. Or is it just that catastrophism doesn't "stick" to the Russian mind? 3. Did you have the impression, as I do, that most people in Russia tend to see both peak oil and climate change mainly as Western propaganda? My contacts with the Russian oil industry and universities tend to think that Russia is immune to peak oil because of its large reserves and also that it will be scarcely affected by climate change, because it is located in the North. Some people seem to think that Russia could actually gain something because of global warming. Both these impressions - in my opinion - are utterly wrong and could seriously damage Russia in the long run. 4. Do you think that the current Russian leaders have some kind of long term plan on how to manage the Russian mineral resources? Russia controls a considerable fraction of the remaining world mineral resources. Even though large, these resources are not infinite. So, should Russia help Westerners to waste fuel produced from Russian oil for their SUVs, or, rather, keep the oil for the future prosperity of Russia? Does anyone in Moscow think about these matters? 5. What should be Russia's future source of energy? Here, it seems that most Russians think of a comfortable, nuclear powered future. That may be a possibility, but the Russian uranium resources are not infinite and surely are not among the most abundant in the world. Theoretically, fast neutron reactors overcome the problem of uranium depletion and Russia is probably the most advanced country in the world in this area. But fast neutron reactors are a very difficult technology, frayed with risks and uncertainties, also strategically vulnerable. Shouldn't Russia consider alternatives? Despite being a Northern country, Russia has plenty of high insolation regions and plenty of available space. Why neglect solar energy so much as it has been done up to now? So, if you are Russian (or even if you are not) and you feel that you can say something about these questions, or on other points related to Russia, your comments are most welcome! Garrett Hardin's idea of "The Tragedy of the Commons" has become well known, but not always really understood. In my case, I can say that I have big troubles in having my students grasping its mechanism; that is the interplay of individual advantage versus public goods; the basic factor that leads to what we call "overexploitation." Perhaps the problem lies in the fact that Hardin used the example of sheep and pastures to explain the reasons of the tragedy, but that's rather unfamiliar to my students (as well as to most of us). For instance, many of my students don't seem to be able to grasp the concept of "overgrazing", that is the fact that grass doesn't regrow if it is grazed too much. Besides, the pastures that Hardin was considering never experienced the "tragedy"; they were well managed and well regulated, specifically in order to avoid it. So, let me propose a different example for the mechanism of overexploitation, based on a real event that happened to me. Maybe it can explain the concept better. Just a few days ago I was literally kidnapped inside an underground parking in Florence because I had lost my entrance ticket, with the employees of the place insisting that they won't let me out unless I was willing to shell out 237 euros for about two hours of parking (!!). I described the experience in detail in a post in Italian, that you may machine translate if you are really interested. The gist of the story, anyway, is that I found myself caught in a trap mainly designed to siphon out some money out of the pockets of the hapless foreign tourist passing by. In my case, I was able to negotiate my release and avoid paying the exorbitant surcharge. But, put yourself in the shoes of someone who doesn't speak the local language, doesn't know what are his/her rights, is in a hurry; then the best strategy is to pay and be over with it. Although, after such an experience, most tourists will probably swear that they won't ever again set foot in this hateful city. Now, despite the rather nasty circumstances, what I have described is nothing more than an economic transaction. But, here, there doesn't seem to hold the conventional view that demand and offer are always the same and, at the same time, "right". What happens, instead, is the perverse mechanism of Hardin's tragedy taking hold of the situation. Let's quantify: by forcing a tourist to pay 237 Eur, the management of the parking lot gains the difference between the normal parking rate (say, 4 euros) and the surcharge; a net gain of 233 Euros. At the same time, the fact that the tourist mugged in this way will never come back to Florence means a loss in terms of hotel rooms, meals, various purchases and more. Considering that the enraged tourist will also discourage friends and relatives from coming to Florence, the overall loss is surely of the order of several thousand euros. The transaction, therefore, turns out to be a net loss for everyone involved. But here comes Hardin's tragedy. The loss of thousands of euros is spread over several thousands of operators in the tourism industry and for each one it is so small to be nearly invisible. Instead, the monetary gain of 233 euros is well visible for those who pocketed it. There follows that almost everyone, as an individual or a single firm, gains in overcharging tourists. That's what generates what we call a "tourist trap," a common occurrence everywhere tourists go. It is the same mechanism of Hardin's original example, with the tourists in the role of grass and the tourism operators in the role of shepherds. In Hardin's example, overgrazing leads to the destruction of the resource (grass). In the case I was describing, tourists in Florence have not been destroyed, yet, but they are constantly overcharged, overcrowded, and overexploited in various ways. It is not so obvious that they will continue to flock to a place where they are so badly mistreated and so often. I know what you are thinking, that Florence will always be Florence. True, but visiting Florence is, in the end, the result of the fact that it is fashionable to do it. And fashions change over time. Years ago, it was fashionable to buy overpriced and oversized cars, and manufacturers thought they could overexploit their customers at will. For a while, yes; then look at what has happened to Detroit. The final point of this discussion is to note how difficult it is for human beings to manage well the resources they exploit. The overexploitation phenomenon lurks almost everywhere and it is extremely difficult to stop it, because it generates a cascade of economic gains that overcome the (usually feeble) attempts of the authorities to regulate the use of the resource. It is true for tourism, but also for minerals, for fish, for agriculture, whatever you have that generates an economic return sufficiently large to make it possible to reinvest a fraction of it to increase the exploitation rate. We haven't found a way to avoid the tragedy in modern times and chances are that we never will, at least as long as we reason in terms of maximizing individual profits and we keep believing that doing that optimizes the exploitation of the system. Maybe it does, but at the cost of destroying it. 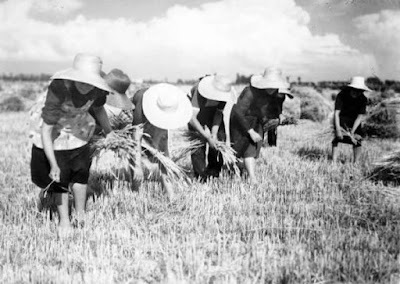 Gleaning women in Italy in 1930 (image source). The ancient peasant society had found in gleaning an elegant and efficient way to optimize the management of low-yield resources. Gleaning is an ancient tradition, deeply embedded in the agricultural world. In the past, it was common practice that the poor were given access to the grain fields after the harvest, so that they could collect the spikelets left on the ground by the harvesters. It wasn't done just with grain, but with all kinds of agricultural products: fruit, olives, chestnuts, and more. Whatever was left after the first pass was for the poor and for the destitute to collect. 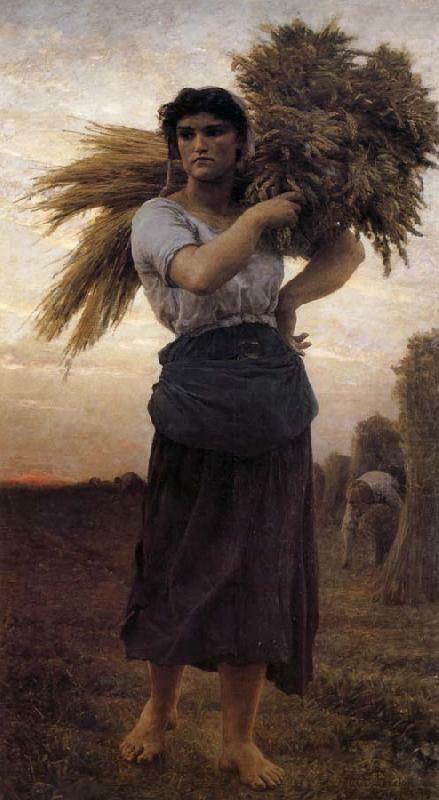 Gleaning was so important in the past rural societies that it was even sacred. We read in the Bible that God explicitly ordered to owners to give to the poor a chance to glean in their fields. And the origin of David's lineage in the biblical tradition is related to gleaning, as described in the story of Ruth, a poor Moabite girl who married the owner of the fields where she gleaned. Other religions do not have such explicit references to gleaning, but most of them convey the idea that the rich should partake with the poor what they don't need. For instance, a similar sharing command from God can be found in the Islamic tradition, but directed to water. Gleaning remained a fundamental feature of rural societies until recent times; it is still done, occasionally (as you can see in this movie), but it has lost importance with the onrushing growth of the industrial society. It is not considered sacred anymore; on the contrary, the suspension of the property rights associated with gleaning is often seen as subversive in a world that emphasizes fenced private property and strictly regulated activities. In some cases, gleaning was specifically prohibited by law, as in the Soviet Union in the 1930s. That was a terrible mistake that aggravated the famine known as the "holodomor" in Ukraine. But why gleaning was so common? Why even sacred? And can we learn something useful for us from this ancient tradition? It turns out that, yes, we can. Far from being a primitive tradition, gleaning is a sophisticated and efficient technology designed for managing low yield resources. It is a technology that we could still use and that, probably, we'll have to re-learn as the gradual depletion of high-yield mineral resources forces us to abandon the wasteful and expensive industrial technologies we have been using so far. But it is a story that needs to be told from the beginning. Few of us have direct experience with the sickle (or the scythe, its long handled version, used specifically for reaping). We can only imagine how hard it must have been to use it to harvest crops during the Summer, under the sun; going on day after day, swinging it over and over, for as long as there was enough light. It took not just physical strength, it took endurance and skill. But it was the task of the peasant to do that and it has been done for thousands of years. Now, imagine a line of reapers advancing in a grain field. Obviously, they had to stay at a certain distance from each other while swinging their sickles. So, it was unavoidable that some grain stalks would be left standing and that some spikelets would fall on the ground. Could you avoid this loss? Maybe you could try to get the reapers closer to each other; but that could even be dangerous. Or maybe you could force the reapers to be more careful, or to stop and collect what falls on the ground; but that would slow down the whole process. In short, we have here a classic problem, well known in economics: efficiency shows decreasing marginal benefits. The optimal yield of harvesting is surely obtained collecting less than 100% of the grains. But gleaning was not just a question of efficiency, it was way deeper than that. It provided a "social buffer" that allowed flexibility (or, if you prefer, "resilience") to the agricultural society. The vagaries of the weather, of insects, pestilences and other calamities always made the yield of the harvest uncertain. 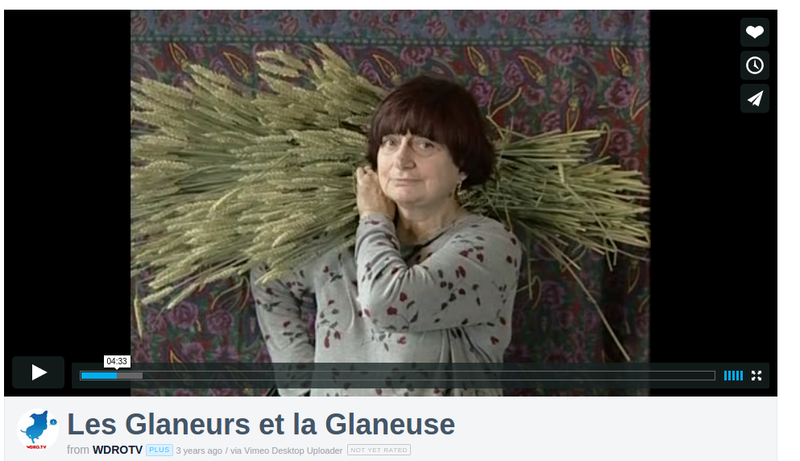 So, a peasant family that faced hard times could always fall back on gleaning to survive. Then, when the good times came back, the same family could provide the human resources for the regular harvesting. So, gleaning played the role that today we call "Social Security" or "welfare", reducing conflicts and frictions within society. But the idea of gleaning went beyond this utilitarian factor. It had to do with the very fact of being human and of helping each other. As such, it takes the name of solidarity (or, sometimes, of compassion). The reapers knew that the spikelets left on the ground would be collected by the gleaners following them. Would they leave some falling on purpose? We can't know for sure, but we can read in the story of Ruth in the Bible how the owner of the field himself ordered the harvesters to leave something on the ground for her to collect. So, if we want to understand the mechanisms of gleaning, we need to go to a different concept: "biophysical economics". It is the view that sees the human economy as an activity that mimics biology. So, each economic activity is like a biological species; it uses resources to live and reproduce, while producing waste. Once we take this view, we immediately see what gleaning is. It is a "trophic cycle;" a manifestation of the fundamental idea in biology that one creature's waste is some other creature's food. Spikelets fallen on the ground are a low-yield resource not worth processing by traditional harvesting and therefore should be considered as waste from the point of view of the primary production process. But, from the viewpoint of gleaners, spikelets produce a sufficient yield to make them a resource worth processing. Gleaning is, therefore, a processing method specialized in low-yield resources. We can express this idea also using the concept of "energy return for energy invested" (EROI or EROEI). The energy yield of the spikelets fallen on the ground is not sufficient to generate a good EROEI if they were to be harvested by mechanized methods or by specialized personnel. But, if we reduce the energy investment by means of gleaning; then the process must have generated an acceptable (or even very good) EROEI if it was so commonly used in agriculture. The low cost of gleaning derived from several factors, one was that it wasn't associated with the costs of private property; intended as claiming it, fencing it, defending it, and more. Indeed, gleaning can only function if the resource being gleaned is managed as a "commons;" that is, free for everyone to collect. Traditionally, it meant that private land ceased to be such for the period of gleaning (as in the case of grain fields). Other kinds of resources shared this characteristics, being so low yield that they can be gathered only informally and in a situation of commons; e.g. mushrooms, wood, grass, and others. That's true also for hunting as it was practiced in very ancient times. Overall, we can see gleaning as a "hunting and gathering plug-in" applied to the agricultural society. On the subject of the commons, the analysis by Garrett Hardin is very well known under the name of the "Tragedy of the Commons". Hardin made the example of a pasture managed as a commons, noting that every shepherd can bring as many sheep as he wants to the pasture, and that the more sheep he brings the more the economic yield for him. 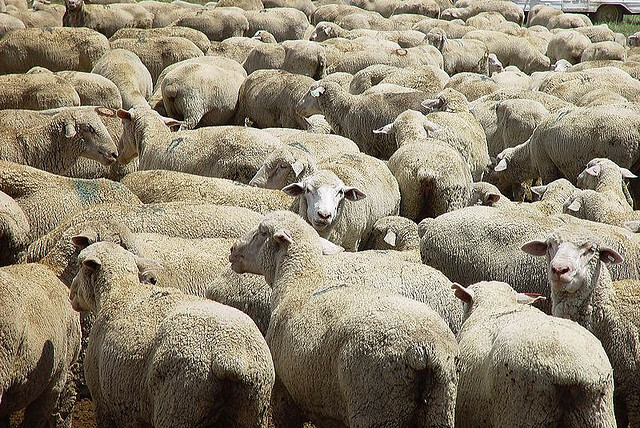 However, if the total number of sheep exceeds the "carrying capacity" of the pasture, then the pasture is damaged. The cost of the damage, however, is spread over all shepherds, whereas each single shepherd still has an individual advantage in bringing one more sheep to pasture. The result is we call today "overexploitation" and it eventually generates the destruction of the resource being exploited. However, if the commons have survived for millennia in agricultural societies, it means that the tragedy described by Hardin was not at all a common phenomenon. Hardin was not wrong, but he applied an industrial logic to an activity that was not industrial in the modern sense. For the "tragedy" to occur, there must be some kind of capital accumulation that you can re-invest in order to increase the rate of exploitation of the resource. Gleaning, instead, hardy generates capital accumulation. Think of gleaners collecting grain: how would they accumulate capital? Can't be; the most they can do is to is to collect enough to feed their families. The very concept of monetary capital is a burden that gleaning cannot afford. Hence, we see how beautifully optimized gleaning is; a far cry from the brutal and inefficient method of "privatize and fence," often proposed as the solution to all problems of resource overexploitation. And we can also understand why gleaning has nearly disappeared from our world. With the energy supply that society obtains from fossil fuels, there was no need any more for such a radical optimization of the agricultural process as gleaning could provide. The industrial world was (and still is - so far) rich enough that it can think that it doesn't need to be efficient; it doesn't need gleaning. 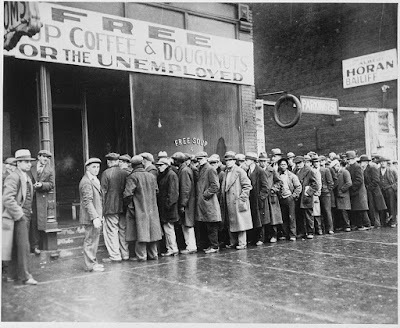 Indeed, the wealth generated by the industrial society can provide better services than those that gleaning produced, long ago: pensions, social security, food security and more. All that was the result of the high energy yield of fossil fuels. For how long that will be possible, however, is a completely different story; considering the fact that fossil fuel are not infinite. 3. Gleaning in the modern world. One of the problems of the modern industrial economy is waste. We are possibly at the height of a historical cycle of energy production and, as a consequence, we probably never generated so much waste as we do today (there are indications that a decline in waste production may already have started in the rich regions of the world, see this article of mine). But, as mentioned before, we don't know very well what to do with this stuff that we call "negative value goods." Normally, we tend to try to get rid of waste by using expensive industrial processes, for instance incineration plants which - miracle! - are said to produce energy (and, hence, they are renamed "waste-to-energy plants"). And our concept of recycling involves expensive methods that almost never repay their cost. But, as Einstein is reported to have said, we cannot solve our problems with the same thinking we used when we created them. However, if we look at the hidden side of waste processing, we can see that gleaning, although nearly completely disappeared from agriculture, is still there; alive and well. An early example of modern waste gleaning can be found in the novel by Franck McCourt "Angela's ashes," where the author tells us of how his family could survive in the winters of the 1930s in Ireland, literally gleaning coal; that is collecting coal lumps fallen from coal carrying carts. Today, you could call "gleaning" the activity of "binners," "cartoneros," and "cataderos" who recover what they can from the trash bins of the rich Western society. (more data at this link). These activities go under the general name of "informal participatory waste management" - a fancy term for what is simply gleaning applied to industrial waste. These modern gleaners use no expensive equipment, mainly bags and old carts. They move on foot or, occasionally, use supermarket carts as skateboards. They separate the mixed waste into (modestly) valuable objects by hand. 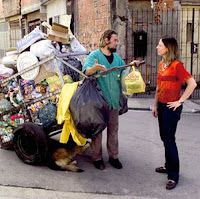 In the picture, you see Professor Jutta Gutberlet of the University of Victoria, Canada, discussing with a Brazilian "catador." We don't have precise data on the world trends of this kind of activities, but it seems clear that the increasing number of people who live in poverty in rich countries has generated a return to ways of living that seemed to have disappeared with the booming economy of the second half of the 20th century. Then, in poor countries, the poor have always been "gleaning" landfills, even though the poorer the country, the poorer also must be the landfills. It is a job that doesn't pay well (obviously) and that carries considerable danger: you never know what you can find in a waste bin. It can be something sharp, poisonous, contaminated, or dangerous for all sorts of reasons. The gleaning of household waste is seen in different ways in different parts of the world. Some European and North-American countries have implemented "container deposit legislation." That is, the consumer who buys a bottle or some other kind of container, pays an extra as deposit, which can then be recovered by bringing back the container to the seller. This kind of legislation, obviously, generates a considerable gleaning-like activity on the part of poor people who actively search and collect thrown away containers. The gleaning of industrial waste would seem to be a good idea under many respects; and it even seems to work where it has been implemented. However, there are big problems with making it a widespread and commonplace technology for waste management. On the basis of my personal experience, I can tell you that trying to fight the vested interests of the companies that make money out of traditional waste management is hard; think of taking away a fish from the crocodile's mouth. In some cases, disturbing the crocodile can even be dangerous, considering the widespread network of illegal activities related to waste management. Then, in proposing participatory waste management, you risk being considered as an "enemy of the people" and accused of planning to prevent the poor from their legitimate right of becoming 9 to 5 office employees. You may also be seen as an enemy of science and technology, as you are intentioned to block the development of new and wonderful technologies that will bypass thermodynamics and transform waste into a high yield resource. Finally, often you face a stumbling block in the form of the "zero waste" idea, often intended as meaning that no waste should be produced at all. The fact that perfect efficiency implies zero resilience seems to be completely alien to the way of thinking of those who propose this idea. Conclusion: the future of gleaning. How can we see gleaning in our society? Can we see its return in one of its many possible forms? And, if so, will it be useful for something, for instance to solve the waste problem? Personally, I would avoid seeing gleaning as a solution for any problem. Gleaning is simply something that happens, it is part of the way our world works and the way human beings adapt to change. Gleaning really never disappeared from human society and it will never disappear as long as human beings exist. The future will bring us the gradual winding down of the industrial society as cheap fossil fuels are burned and disappear. As a consequence, it will become more and more common to return to gleaning-like technologies that can optimize the return of low-yield resources, such as those left by the industrial binge of the past few centuries. In this vision, a good case could be made that the gleaning of waste should be encouraged already today by laws and subsidies. Even if you don't agree with this idea, at least, we should avoid the mistake of forbidding gleaning, or to make it impossible under the burden of taxes and bureaucracy (to say nothing about the idea of shooting gleaners). It is not just a question of opportunity, but a wider one of solidarity. God Himself (or Herself) commanded us to let gleaning be and, as God is said to be compassionate and merciful, I think we should take that into account. Mini Ice Age in 2030: the new anti-science meme? The past decade has seen some truly clever media tricks being used against climate science. The most successful one was the so-called "Climategate" scandal of 2009. You can see its effects on the Gallup poll, above. Climategate was a very successful "meme", a term created by Richard Dawkins in analogy with "gene" - a meme is a reproductive unit in the mediaspace. It works like a virus, and, as a virus, it tends to lose its potency when the system develops ways to fight it. So, the climategate meme lost potency in a few years after its introduction and the Gallup curve started going up again. 2012 saw the birth of a new and powerful anti-science meme: the "climate change has stopped" one, created by David Rose with an article in the Daily mail. 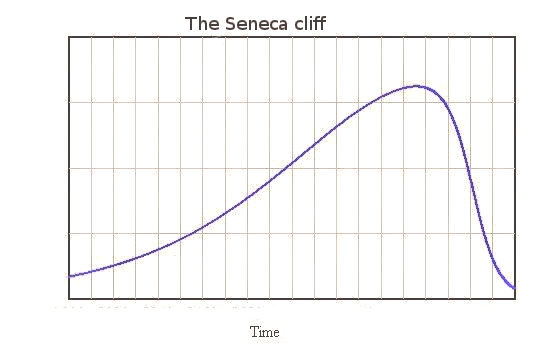 The effect was less pronounced than that of the Climategate meme, nevertheless the idea of the "pause" went viral and it is probably the origin of the drop/stasis in the Gallup curve from 2013 to 2014. But also the "pause" meme has lost potency; with 2015 on track to become the hottest year ever recorded, it becomes more and more difficult to maintain that climate change has stopped. So, with the Paris conference on climate approaching, it is probably the right time for a new anti-science meme appearing in the media. Not surprisingly, the media is all abuzz with the idea of a"mini ice age" that should occur at some moment in the 2030s. Look at the results of a "Google Trends" search. Remarkable, indeed! The question is, rather, whether the "mini ice age" idea will be a good anti-science meme; maybe affecting the results of the Paris conference, in December. Of course, we have to wait and see, but it seems unlikely. The mini ice age meme is weak. Compare it with the "climate change has stopped" meme. One of its powerful features was that David Rose had positioned it as a conspiracy, with scientists in the role of the bad guys trying to hide the truth from the public. And a meme that involves bad guys works almost every time. Then, how many times have you been questioned by someone absolutely sure that climate change had stopped? To answer, you had to explain to him/her (most commonly him) that no, it had not stopped, that it had only slowed down, that the heat had gone into the oceans, etc. It never really worked. But the "mini ice age" meme has no bad guys to blame, and that makes it weak from the start. And then, picture yourself facing someone who states "they say that in 15 years from now there will be a new ice age". It should be enough to look at him (maybe her) with an appropriately skeptical expression and say, "are you sure?" 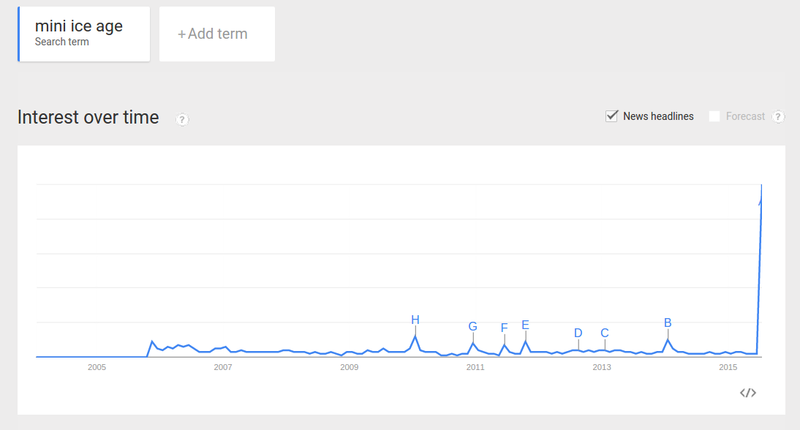 It looks like climate denialists are going to have a hard time. And that's exactly what they deserve! Can you think of something worse than a wicked problem? Yes, it is perfectly possible: it is a wicked solution. That is, a solution that not only does nothing to solve the problem, but, actually, worsens it. Unfortunately, if you work in system dynamics, you soon learn that most complex systems are not only wicked, but suffer from wicked solutions (see, e.g. here). This said, let's get to one of the most wicked problems I can think of: that of the world's food supply. I'll try to report here at least a little of what I learned at the recent conference on this subject, jointly held by FAO and the Italian Chapter of the System Dynamics Society. Two days of discussions held in Rome during a monster heat wave that put under heavy strain the air conditioning system of the conference room and made walking from there to one's hotel a task comparable to walking on an alien planet: it brought the distinct feeling that you needed a refrigerated space suit. But it was worth being there. First of all, should we say that the world's food supply is a "problem"? Yes, if you note that about half of the world's human population is undernourished; if not really starving. And of the remaining half, a large fraction is not nourished right, because obesity and type II diabetes are rampant diseases - they said at the conference that if the trend continues, half of the world's population is going to suffer from diabetes. So, if we have a problem, is it really "wicked"? Yes, it is, in the sense that finding a good solution is extremely difficult and the results are often the opposite than those intended at the beginning. The food supply system is a devilishly complex system and it involves a series of cross linked subsystems interacting with each other. Food production is one thing, but food supply is a completely different story, involving transportation, distribution, storage, refrigeration, financial factors, cultural factors and is affected by climate change, soil conservation, population, cultural factors...... and more, including the fact that people don't just eat "calories", they need to eat food; that is a balanced mix of nutrients. In such a system, everything you touch reverberates on everything else. It is a classic case of the concept known in biology as "you can't do just one thing." Once you obtain even a vague glimpse of the complexity of the food supply system - as you can do in two days of full immersion in a conference - then you can also understand how poor and disingenuous often are the efforts to "solve the problem". The basic mistake that almost everyone does here (and not just in the case of the food supply system) is trying to linearize the system. Linearizing a complex system means that you act on a single element of it, hoping that all the rest won't change as a consequence. It is the "look, it is simple" approach: favored by politicians (*). It goes like this, "look, it is simple: we just do this and the problem will be solved". What is meant with "this" varies with the situation; with the food system, it often involves some technological trick to raise the agricultural yields. In some quarters that involves the loud cry "let's go GMOs!" (genetically modified organisms). Unfortunately, even assuming that agricultural yields can be increased in terms of calories produced using GMOs (possible, but only in industrialized agricultural systems), then the result is a cascade of effects which reverberate in the whole system; typically transforming a resilient rural production system into a fragile, partly industrialized, production system - to say nothing about the fact that these technologies often worsen the food's nutritional quality. And, assuming that it is possible to increase yields, how do you find the financial resources to build up the infrastructure needed to manage the increased agricultural yield? You need trucks, refrigerators, storage facilities, and more. Even if you can manage to upgrade all that, very often, the result is simply to make the system more vulnerable to external shocks such as increases in the cost of supplies such as fuels and fertilizers. There are other egregious examples of how deeply flawed is the "'look, it is simple" strategy. One is the idea that we can solve the problem by getting rid of food waste. Great, but how exactly can you do that and how much would that cost? (**) And who would pay for the necessary upgrade of the whole distribution infrastructure? Another "look, it is simple" approach is 'if we all went vegetarian, there would be plenty of food for everyone'. In part, it is true, but it is not so simple, either. Again, there is a question of distribution and transportation, and the fact that rich westerners buy "green food" in their supermarkets has little impact on the situation of the poor in the rest of the world. And then, some kinds of "green" food are bulky and hence difficult to transport; also they spoil easily, and so you need refrigeration, and so on. Something similar holds for the "let's go local" strategy. How do you deal with the unavoidable fluctuations in local production? Once upon a time, these fluctuations were the cause of periodic famines which were accepted as a fact of life. Going back to that is not exactly a way to "solve the food supply problem." A different way to tackle the problem is focussed on reducing the human population. But, also here, we often make the "look, it is simple" mistake. What do we know exactly on the mechanisms that generate overpopulation, and how do we intervene on them? Sometimes, proposers of this approach seem to think that all what we need to do is to drop condoms on poor countries (at least it is better than dropping bombs on them). But suppose that you can reduce population in non traumatic ways, then you intervene into a system where "population" means a complex mix of different social and economic niches: you have urban, peri-urban, and rural population; a population reduction may mean shifting people from one sector to the other, it may involve losing producing capabilities in the rural areas, or, on the contrary, reduced capabilities of financing production if you could lower population in urban areas. Again, population reduction, alone, is a linear approach that won't work as it is supposed to do, even if it could be implemented. Facing the complexity of the system, listening to the experts discussing it, you get a chilling sensation that it is a system truly too difficult for human beings to grasp. You would have to be at the same time an expert in agriculture, in logistics, in nutrition, in finance, in population dynamics, and much more. One thing I noticed, as a modest expert in energy and fossil fuels, is how food experts normally don't realize that the availability of fossil fuels must necessarily go down in the near future. That will have enormous effects on agriculture: think of fertilizers, mechanization, transportation, refrigeration, and more. But I didn't see these effects taken into account in most models presented. Several researchers showed diagrams extrapolating current trends into the future as if oil production were to keep increasing for the rest of the century and more. The same is true for climate change: I didn't see at the conference much being said about the extreme effects that rapid climate change could have on agriculture. It is understandable: we have good models telling us how temperatures will rise, and how that will affect some of the planet's subsystems (e.g. sea levels), but no models that could tell us how the agricultural system will react to shifting weather patterns, different temperatures, droughts or floods. Just think of how deeply agricultural yields in India are linked to the yearly monsoon pattern and you can only shiver at the thought of what might happen if climate change would affect that. So, the impression I got from the conference is that nobody is really grasping the complexity of the problem; neither at the level of single persons, nor at the level of organizations. For instance, I never heard a crucial term used in world dynamics, which is "overshoot". That is, it is true that right now we can produce roughly enough food - measured in calories - for the current population. But for how long will we be able to do that? In several cases I could describe the approaches I have seen as trying to fix a mechanical watch using a hammer. Or to steer a transatlantic liner using a toothpick stuck into the propeller. But there are also positive elements coming from the Rome conference. One is that the FAO, although a large, and sometimes clumsy, organization understands how system dynamics is a tool that could help a lot policy makers to do better in managing the food supply system. And, possibly, helping them device better ideas to "solve the food problem". That's more difficult than it seems: system dynamics is not for everyone and teaching it to bureaucrats is like teaching dogs to solve equations: it takes a lot of work and it doesn't work so well. Then, system dynamics practitioners are often victim of the "spaghetti diagram" syndrome, which consists in drawing complex models full of little arrows going from somewhere to somewhere else, and then watching the mess they created and nodding in a show of internal satisfaction. But it is also true that, at the conference, I saw a lot of good will among the various actors in the field to find a common language. This is a good thing, difficult, but promising. In the end, what is the solution to the "food supply problem"? If you ask me, I would try to propose a concept: "in a complex system, there are neither problems, nor solutions. There is only change and adaptation." As a corollary, I could say that you can solve a problem (or try to) but you can't solve a change (not even try to). You can only adapt to change, hopefully in a non traumatic manner. Seen in this sense, the best way to tackle the present food supply situation, is not to seek for impossible (wicked) solutions (e.g. GMOs) but to increase the resilience of the system. That involves working at the local level and interacting with all the actors working in the food supply system. It is a sensible approach. FAO is already following it and it can insure a reasonable supply even in the presence of the unavoidable shocks that are going to arrive as the result of climate change and energy supply problems. Can system dynamics help? Probably yes. Of course, there is a lot of work to do, but the Rome conference was a good start. * Once you tackle the food problem, you can't ignore the "third world" situation. As a consequence, the conference was not just among Westerners and the debate took a wider aspect that also involved different ways of seeing the world. One particularly interesting discussion I had was with a Mexican researcher. According to her opinion, "linearizing" complex problems is a typical (and rather wicked) characteristic of the Western way of thinking. She countered this linear vision with the "circular" approach that, according to her, is typical of ancient Meso-American cultures, such as the Maya and others. That approach, she said, could help a lot the world to tackle wicked problems without worsening them. I just report this opinion; personally I don't have sufficient knowledge to judge it. However, it seems true to me that there is something wicked in the way Western thought tends to mold everything and everyone on its own image. ** In the food system, the idea that "look, it is simple: just let's get rid of waste" is exactly parallel to the "zero waste" approach for urban and industrial waste. I have some experience in this field, and I can tell you that, the way it is often proposed, the "zero waste" idea simply can't work. It involves high costs and it just makes the system more and more fragile and vulnerable to shocks. That doesn't mean that waste is unavoidable; not at all. If you can't build up a "zero waste" industrial system, you can build up subsystems that will process and eliminate that waste. These subsystems, however, cannot work using the same logic of the standard industrial system; they have to be tailored to operate on low yield resources. In practice, it is the "participatory management" approach, (see, e.g., the work of Prof. Gutberlet). It can be done with urban waste, but also with food waste and it is another way to increase the resilience of the system. In Walt Disney's movie "Fantasia" (1940), dinosaurs were shown as dying in a hot and dry world, full of active volcanoes. Recent discoveries show that something like that might really have happened and that the idea that the dinosaurs were killed by an asteroidal impact appears to be incompatible with the available data. Rather, it seems that the dinosaurs died out because of the global warming resulting from the emission of large amounts of greenhouse gases from volcanoes. In several respects, it is not unlike what's happening today to us. I know what you are thinking: these silly scientists; first they tell us that an asteroid killed the dinosaurs, now they tell us that it is not true. 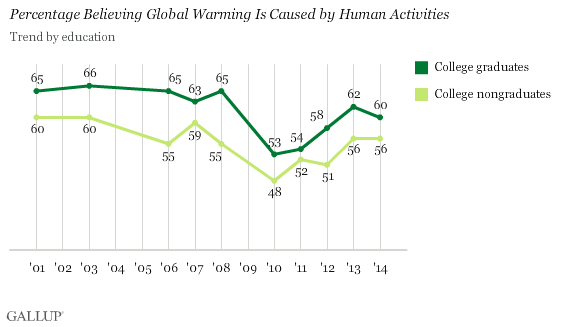 So, how can we believe them when they tell us that humans are causing global warming? On this, I have to tell you something: science is a mighty truth-seeking juggernaut. Yes, individual scientists are not immune from mistakes, political biases, and human failures, but, on the whole, science manages to filter away bad ideas and keep the good ones. The case of the extinction of the dinosaurs is a beautiful example of how well the mechanism works. As you will read in the article below, the non avian dinosaurs, it seems, went away not with an asteroidal bang, but with a volcanic whisper. They were killed over several tens of thousands of years by the global warming created by the emission of gases from the giant basaltic eruption known as the "Deccan Traps", today located on the Indian subcontinent. To be sure, the discussion is far from being settled and many scientists still favor the impact theory (e.g. Peter Ward and Joe Kirschvink in their recent book "A new history of life"). Personally, I am no specialist in these matters but, if I did my homework well (and I think I did), my impression is that the data overwhelmingly favor the volcanic hypothesis over the asteroidal one. So, no asteroid killer? If that's the case, how could science make such a mistake? The answer is that there was no "mistake". There was just the gradual build-up of data and models that led to a better and better understanding of the mechanisms of mass extinctions in the earth's past and of the specific events that led to the so-called "K/T" mass extinction that involved the demise of the non-avian dinosaurs. So, it is true that there was a large asteroidal impact occurring approximately at the K/T boundary. 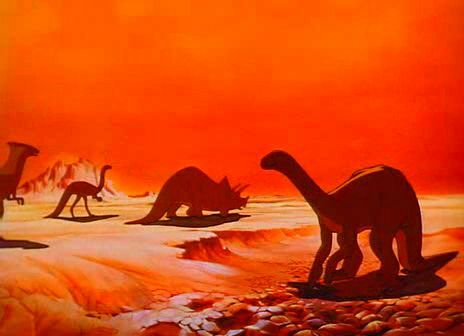 But whether this was the actual cause of the mass extinction always remained a hypothesis. It was only the spectacular character of this hypothesis that led it to become so popular with the general public. But popularity in the media is not the same as scientific certainty and, after decades of work, science is gradually arriving at a consensus on this matter, just as it has arrived to a consensus on climate change. Science, unlike politics and fashion, doesn't go in cycles, it moves forward. 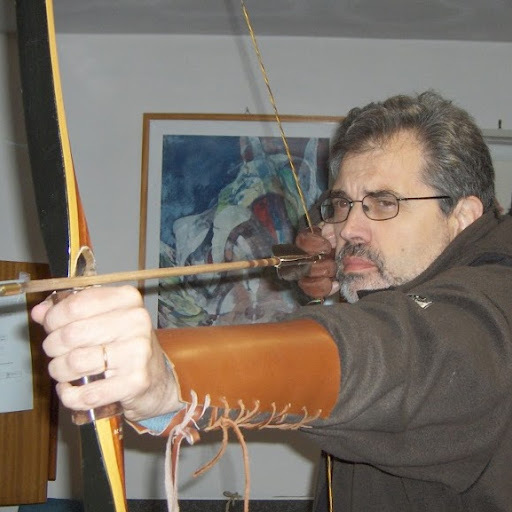 Aldo Piombino is an independent researcher collaborating with the Department of Earth Sciences of the University of Florence. It is widely accepted by the public opinion and by many scientists that the Dinosaurs went extinct because of a meteorite impact that occurred along the Southern Mexico coasts, along the coast of the Yucatan peninsula. Well, this is not true. The “Impactists,” those who propose the impact theory, have been successful for a while in having a stronger voice than their opponents. But, in March 2013 a meeting at the Natural History Museum in London, (acts are published in the Geological Society of America Special publication n. 505) left no doubts: the killer of the dinosaurs was not the Yucatan impact, but the gases and other volatiles that came from the Deccan Traps activity, in which some hundreds of thousands of cubic kilometers of magma were produced in a few tens of thousands of years. There is multiple proof that the Earth system has seen similar conditions causing mass extinctions well before the dramatic K/T event that killed the non-avian dinosaurs. A similar volcanic activity occurred (and it is blamed for) the mass extinction events of the late Devonian, the end Permian, end Triassic, end Cenomanian, end Paleocene, and others. From the end of the Devonian period, all the main boundaries of the Earth chronology correspond to similar volcanic activities, termed "large igneous provinces" (LIPs). The first scientific ideas about the dinosaur extinction in the '30s were that they were wiped out because of a sudden warming of the Earth. This is well exposed in “Fantasia”, one of the masterpieces in the Walt Disney's production, in which we see great reptiles dying in a dry word, surrounded by a warm haze. In the 50's someone blamed a meteorite for the extinction: the cosmic fall would have triggered a sudden and violent atmospheric warming. Global warming remained the best explanation since 1980, when the Berkeley team of Louis Alvarez found that all the K/T section known at that time (Gubbio in Italy, Stevns Klimt in Denmark and Woodside Creek in New Zealand, showed an anomalous spike in the Iridium content (5). So they proposed that a chondritic meteorite crashed on the Earth, triggering a long winter, a sort of “nuclear winter”. The Iridium, contained in the celestial body, had been released in the air and deposited on the ground and on the sea surface. This idea became immediately popular and scientists that didn't agree with the idea of the extraterrestrial origin of K/T event had troubles in having their voices being heard. The 80's saw many scientists searching of the impact crater which was finally found in 1991, along the Yucatan coasts. The dimensions of the crater coincided with the hypothesis declared by the Berkeley team of a body with a 10 km diameter and the age of the collision was Late Cretaceous. But a few years later, Upper Maastrichtian sediments were found on top of the impact ejecta, thus refuting a precise K/T age of the event. 1. The Maastrichtian climatic evolution is clearly in tune with the pulses of the volcanic activity: the biotic crisis begun well before K/T and the impact occurred well after the beginning of the crisis. 2. According to the impact hypothesis, the K/T event has been a cold, dark moment because of the powders derived from the impact and of the fires ignited worldwide by hot ejecta. This cannot be true, because, instead, there exists compelling evidence that the last 50.000 years of the Cretaceous saw a sudden warming, triggered by the enormous CO2 emissions from Deccan traps; thus, it was not a cooling phase. It is true that, after the impact (between 150.000 and 100.000 years before the Mesozoic Era end) there was been a cooler stage, but this is an ordinary event in mass extinction dynamics, when they are triggered by huge volcanism, since they are always accompanied by strong sea level variation. In particular, the final stage is normally a marine transgression following a cooler period characterized by a huge sea level drop. These sea level drops are mainly triggered by the arrival of volcanic volatiles of the Large Igneous Province in the stratosphere, thus enveloping the entire Earth and preventing much of the solar rays to arrive in the lower atmosphere. So, the K/T was mainly characterized by a warm climate because of the high levels of atmospheric greenhouse gas. 3. The sudden extinction in microfossils such as Planktonic Foraminifera is reported where an upper Maastrichtian hiatus is not seen: the low sea level in the upper Maastrichtian before the latest 50.000 years of the stage in many areas (and above all in the Caribbean) resulted in a temporary stop of the sedimentation. Stratigraphic sections where marine sedimentation continued without a hiatus show a very gradual extinction pattern. This scenario fits very well with the volcanic trigger, like the other mass extinctions do, and does not fit with a punctual event like a meteorite impact. 5. No one can say whether the dinosaurs were wiped off in a long or in a short time (3), but we must note that the youngest dinosaur fossils or footprints are almost 450.000 years older than K/T and now it is not known if this is due to a lack of fossils or if they became extinct well before the K/T. 6. The Iridium anomaly is probably best explained as the result of the Deccan volcanoes, generated by aerosol diffusion: similar anomalies occur in the volatiles of Kilauea and in Antarctica (2). These forms of volcanism are typical of intraplate volcanism. And, also, volatiles coming from the intraplate Piton de la Fournaise volcano, located over the mantle plume that originated Deccan Traps long ago, show the anomaly (4). Moreover the anomaly found by the Berkeley team in Gubbio begun well before the K/T boundary and vanishes for a long time interval before the final increase (5). How can Iridium came from the impact if his anomaly begins well before the event? 10. It is evident that the epicenter of the geochemical and biotic crisis is placed in the indian region, as we can see in the Krishna - Godavari basin and in the Meghalaya area. 11. For the International Commission on Stratigraphy the K/T limit is defined if there is one of these characteristics: the Iridium spike, the extinction of all tipically Cretaceous planktonic foraminifera except the Guembelitria Cretacea (a high acidity and low Oxygen resistant form), the occurrence of the first Danian foraminifera and a particular excursion of δ13C. The ejeta from the Yucatan crated are not considered as a diagnostic character for the K/T boundary, because the impact occurred some time before. 12. The δ13C excursion demonstrates a huge perturbation in the carbon cycle; it is diagnostic for a large igneous province and occurred in a similar way at the end of Permian and at the end of Triassic. 13. The 1783 eruption of the Laki volcano can be seen as a small scale simulation of what can happen during the emplacement of a many thousands cubic kilometers lava flow like the ones of a Large Igneous Province. With the Laki eruption, only 17 cubic kilometers of lavas were produced, but the eruption saw the highest registered mortality level in a century and a dry fog enveloped all Europe with widespread damage to agriculture. In conclusion, the Deccan Traps fit better than meteorites as the trigger of the K/T event for all the geochemical, sedimentary and micropaleontological characteristics. Greece: the bad apple of the bunch?